Applying for FERS Disability Retirement? Be Sure to Include These Forms in Your Application Package. Are you feeling overwhelmed about filing your application for FERS Disability Retirement (FDR)? I know at first glance it can seem incredibly complex, so let’s start by breaking your application down into its two major components: the non-disability forms and the disability forms. 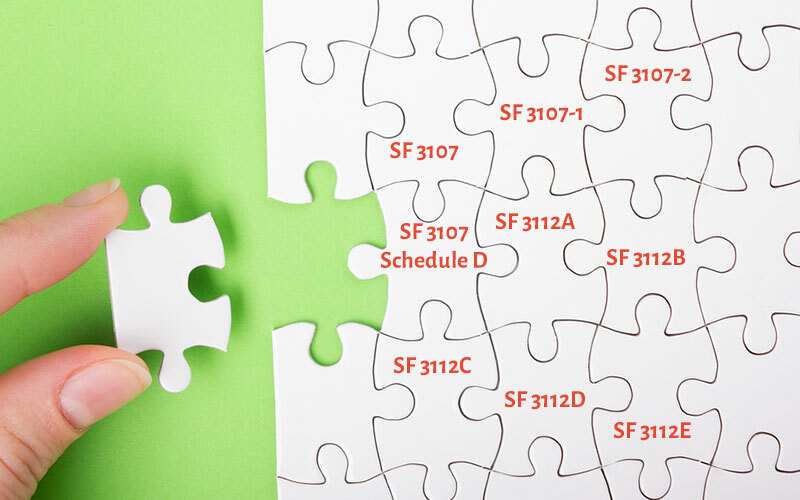 You are required to complete SF 3107 (and possibly SF 3107-2, depending on your choice of survivor annuity). The remaining forms will be completed by your agency. Be sure to provide truthful, up-to-date information, and be sure to review the agency forms for accuracy and completeness. Because these forms are non-disability specific, it is unlikely that errors or inaccuracies will adversely affect your claim (from a medical perspective). However, errors contained on these forms could cause you some major administrative headaches in the near or long term. For example, the wrong computation of your creditable service could reduce your annuity when you reach age 62. If your last day of pay (LDOP) is incorrect, it could significantly diminish any back pay that is owed to you. Erroneous bank information could delay your monthly payments. And the list goes on. Of course, many of these errors can be corrected after the fact, but as they say, “an ounce of prevention is worth a pound of cure.” And if you’ve ever tried to resolve an administrative issue with your agency and/or OPM, you know firsthand that it’s more like a thousand pounds of cure! So, do yourself a favor and make sure that these forms are in order before you submit your final FDR application to OPM. OPM will use the information contained in these forms to determine whether you meet the medical requirements for FDR. Because these forms are so important, I have devoted separate blogs to each.